Ann Dyer is the Director of Mountain Yoga. Ann first came to yoga over thirty years ago as a professional vocalist with a B.A. in Dance. Her teaching grows out of her artistic roots and a deep knowledge of yoga acquired thru decades of study and practice. 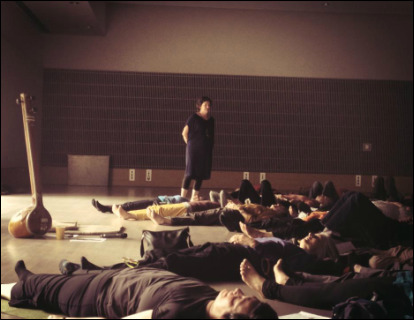 Her dynamic, highly experiential asana classes typically include chant, breathwork and meditation for an integrated practice that leaves the student feeling clear and energized. In addition to her work at MYoga, Ann specializes in the subject of Sound Yoga — the study of mantra, naada and kirtan — which she teaches at Advanced Teacher Trainings and workshops nationally and internationally, and has presented at numerous Yoga Journal Conferences. Ann leads annual international yoga retreats to various locations including India, Cuba, Mexico, and Morocco.